Click on the respective ministry to give online or use the @ handle to give on Venmo! This Giving Tuesday, #EVERYBODYIN. 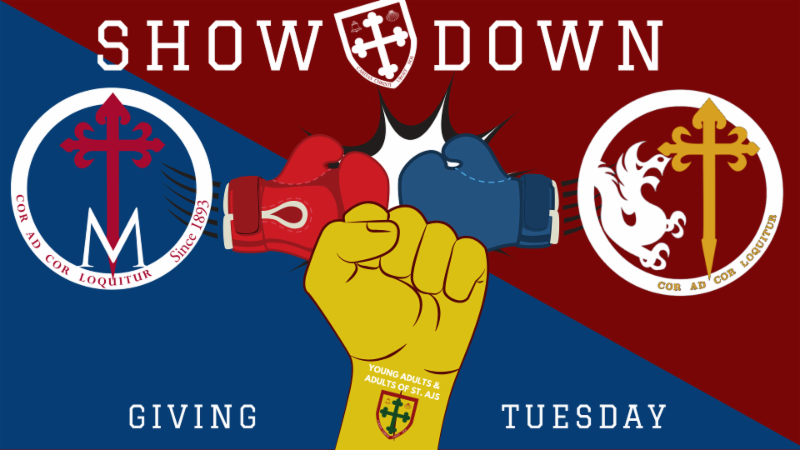 It's the ultimate showdown between PENN NEWMAN, DREXEL NEWMAN, and YOUNG ADULTS + ADULTS at St. AJs. The Brothers threw down the gauntlet, and their families generously put up the prize money. We're all fighting for the same mission, but we think some fun ministry pride goes a long way...oh, and also the cash prizes. It's going to be an all day showdown with results listed in real time, hourly challenges and incentives, and a party in the final hours from 5-7:30pm when it's gonna get intense.